When you’re looking to remove ice and snow with a granular ice melt, Bare Ground has a number of options to provide you with just the right solution to keep your property safe during winter weather. 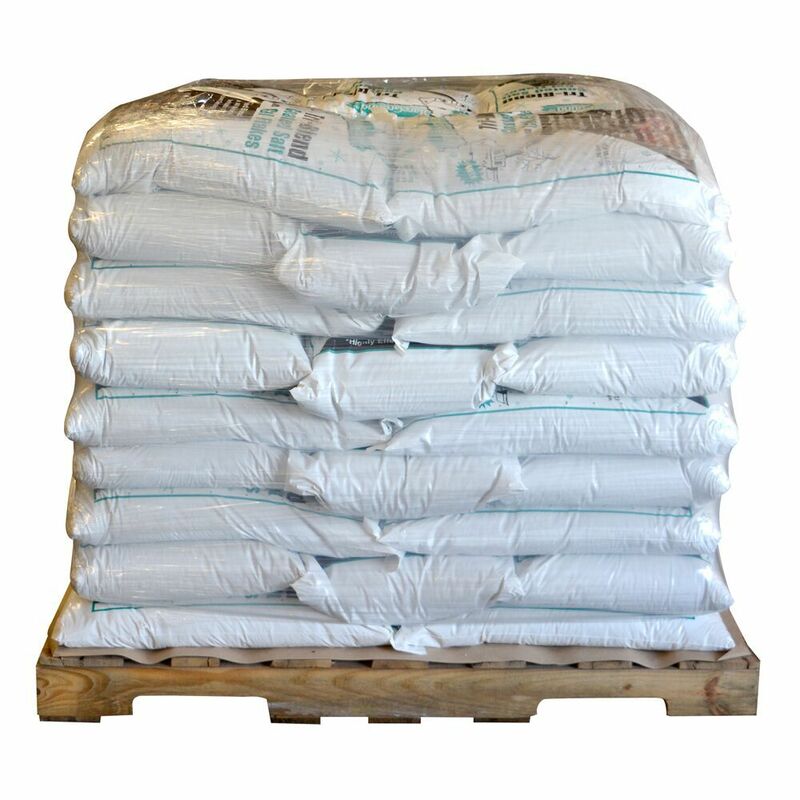 Bare Ground Premium Blend Granular Ice Melt is a special blend of rock salt coated with Bare Ground Mag Plus corrosion-inhibiting liquid deicer to create a granular ice melt that is 40% less corrosive than standard rock salts. 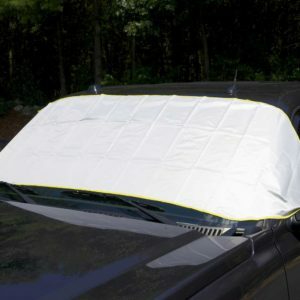 It also starts to work faster and works 60% more effectively. Bare Ground Premium Blend granular ice melt keeps working at temperatures as low as -20F. Bare Ground Coated Granular Blend with Traction Granules (Sodium Chloride coated with Bare Ground Mag Plus corrosion inhibiting liquid ice melt) is added to a special traction granule infused with liquid Calcium Chloride. 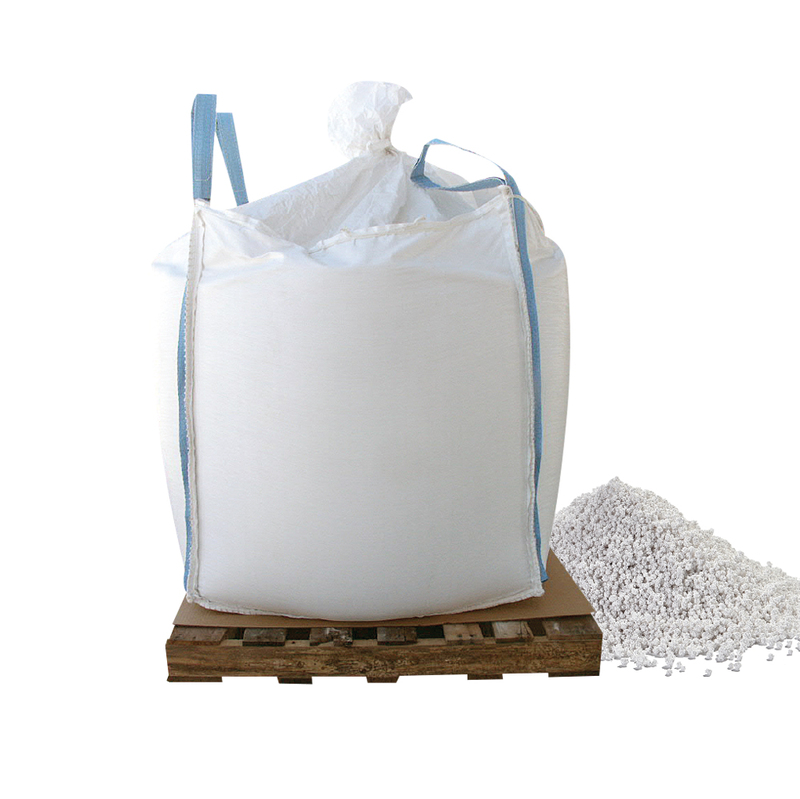 This specially designed traction granule allows the liquid Calcium Chloride to slowly leach out, melting tough ice and snow while providing grip and traction. The brittle traction granule will crush to dust underfoot or tread so there is less cleanup at the end of a winter season. 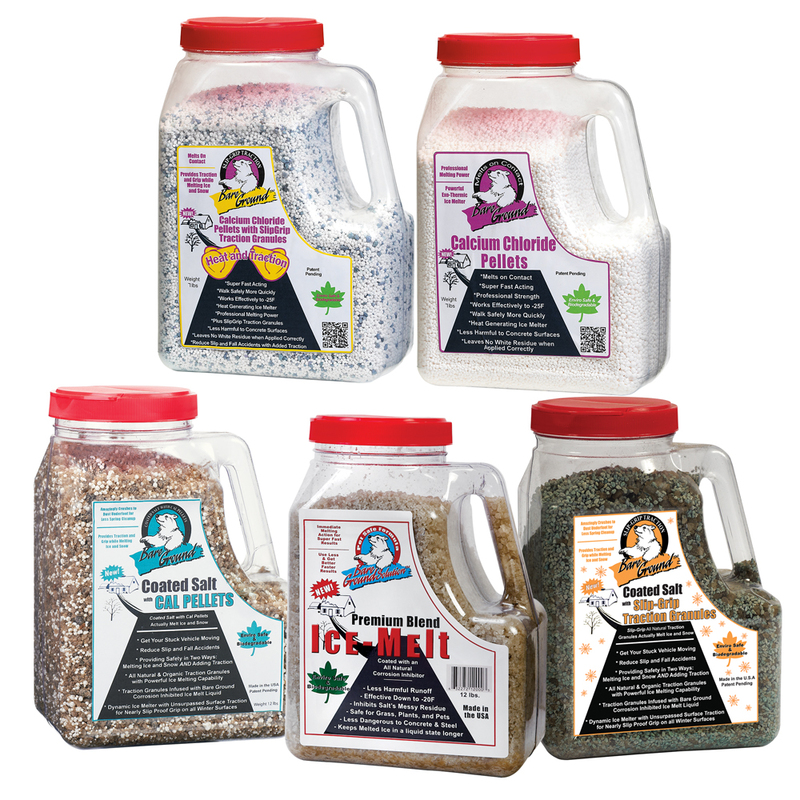 Bare Ground Tri-Blend Granular Ice Melt is a special blend of rock salt coated with Bare Ground Mag Plus corrosion inhibiting liquid deicer with added Calcium Chloride pellets. 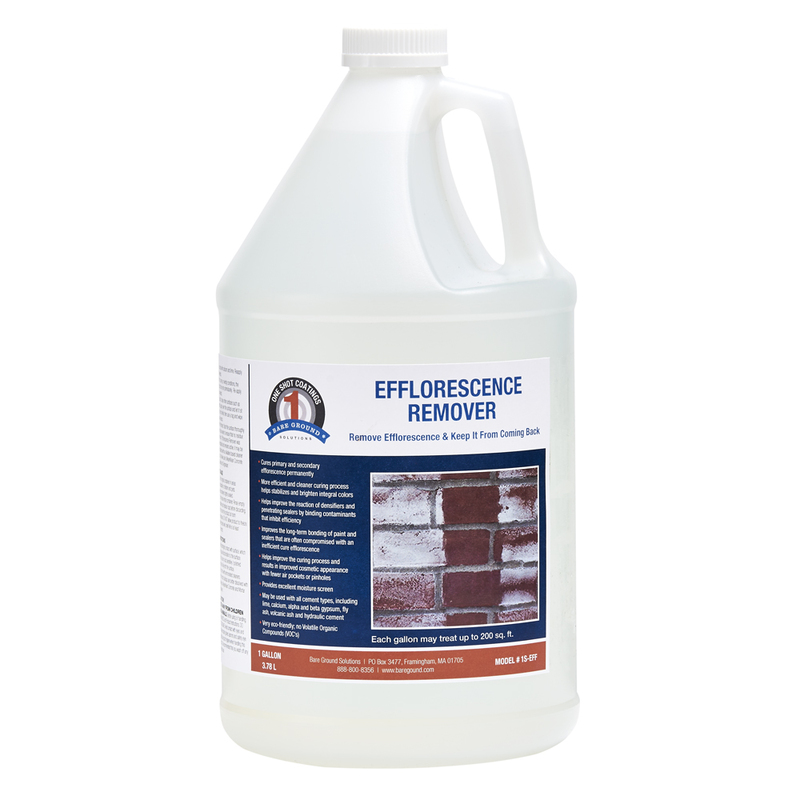 This blend creates an granular ice melt that starts to work faster and is 40% less corrosive than standard rock salts. It works 60% more effectively. Bare Ground Premium Blend granular ice melt keeps working at temperatures as low as -20F. 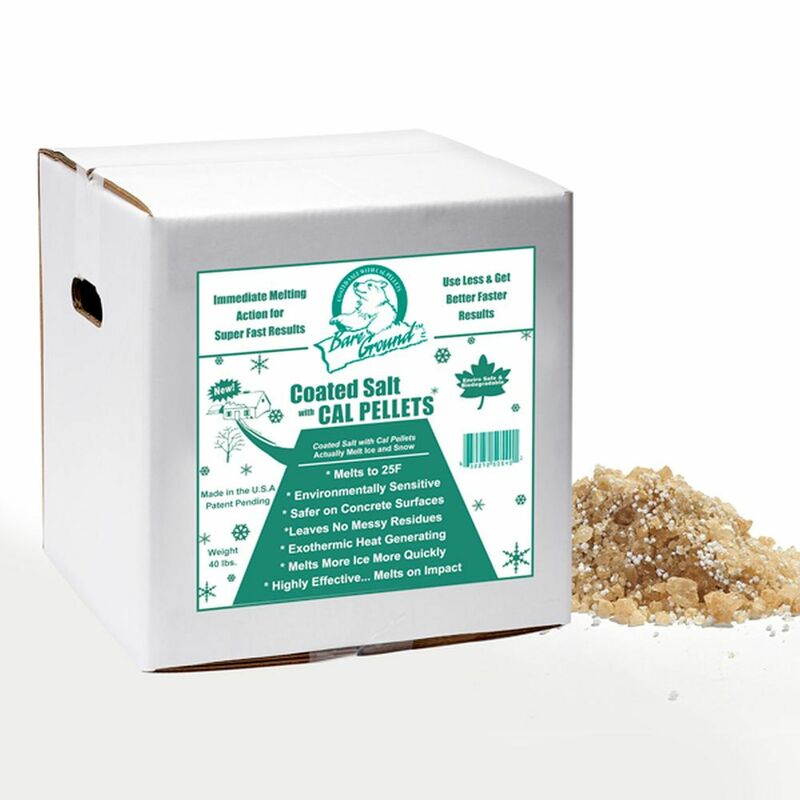 Bare Ground Calcium Chloride Pellets are exothermic which means it will burn hotter and melt snow and ice faster. 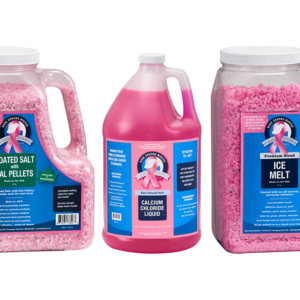 Bare Ground Calcium Chloride Pellets with Traction Granules allows the liquid infused Calcium Chloride to slowly leach out, melting tough ice and snow and providing grip and traction. The brittle traction granules will crush to dust underfoot or tread so there is less cleanup at the end of a winter season. 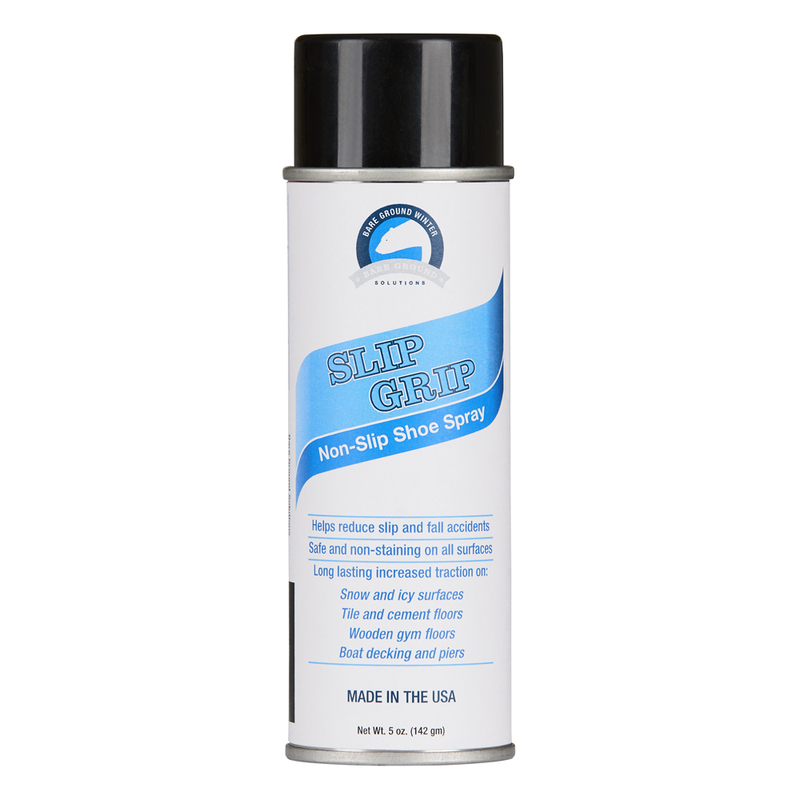 Bare Ground Slip Grip Traction Granules are infused with liquid Calcium Chloride. 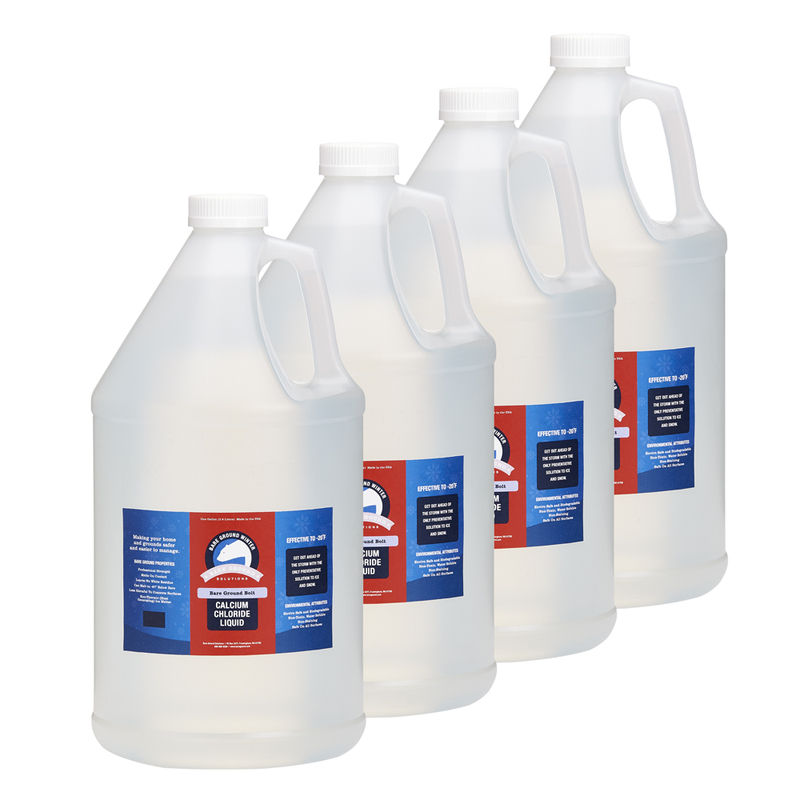 This liquid slowly leaches out, melting tough ice and snow while providing grip and traction. The brittle traction granule will crush to dust underfoot or tread so there is less cleanup at the end of a winter season. This might be the surest way to reduce slip and fall accidents and provide needed traction.